This is the first part of a megadungeon for Labyrinth Lord. I'm actually not familiar with the authors work, but it's Pay What You Want, so you can check it out for nothing. From the author of Bone Hoard of the Dancing Horror, The Imperishable Sorceress, and The Revelation of Mulmo! 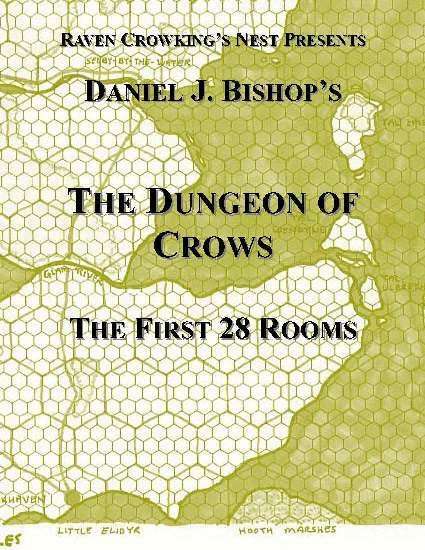 Welcome to the Dungeon of Crows, a megadungeon for Labyrinth Lord and other Old School Role-Playing Games! If you liked my previous stuff, you might like this. Really. Pay What You Want. If there is enough interest, I will continue.